UPDATED: Fri., Feb. 9, 2018, 10:08 a.m.
NEW YORK – The flu has further tightened its grip on the U.S. This season is now as bad as the swine flu epidemic nine years ago. A government report out Friday shows 1 of every 13 visits to the doctor last week was for fever, cough and other symptoms of the flu. That ties the highest level seen in the U.S. during swine flu in 2009. And it surpasses every winter flu season since 2003, when the government changed the way it measures flu. “I wish that there were better news this week, but almost everything we’re looking at is bad news,” said Dr. Anne Schuchat, acting director of the Centers for Disease Control and Prevention. Flu season usually takes off in late December and peaks around February. This season started early and was widespread in many states in December. Early last month, it hit what seemed like peak levels, but then continued to surge. The season has been driven by a nasty type of flu that tends to put more people in the hospital and cause more deaths than other more common flu bugs. But its long-lasting intensity has surprised experts, who are still sorting out why it’s been so bad. One possibility is that the vaccine is doing an unusually poor job; U.S. data on effectiveness is expected next week. Some doctors say this is the worst flu season they’ve seen in decades. Some patients are saying that, too. Veda Albertson, a 70-year-old retiree in Tampa, was sick for three weeks with high fever and fluid in her lungs. She said she hadn’t been this sick from the flu since the 1960s, when she was a young mother who couldn’t get out of bed to go to the crib of her crying baby. “It was like ‘Wham!’ It was bad. It was awful,” she said of the illness that hit her on Christmas Day. Heather Jossi, a 40-year-old Denver police officer and avid runner, said her illness last month was the worst flu she’s experienced. Albertson said she got a flu shot, Jossi did not. Last week, 43 states had high patient traffic for the flu, up from 42, the CDC reported. Flu remained widespread in every state except Hawaii and Oregon and hospitalizations continued to climb. So far, it has not been a remarkably bad year for flu deaths. Flu and flu-related pneumonia deaths have lagged a little behind some recent bad seasons. The CDC counts flu deaths in children and there have been 63 so far. They have gone as high as about 170 in a season. Overall, there are estimated to be as many as 56,000 deaths linked to the flu during a bad year. The CDC said the amount of suspected flu cases at doctor’s offices and hospital emergency rooms last week matched that seen in 2009, when a new swine flu pandemic swept the world and panicked many people. Swine flu, also called pandemic H1N1, was a new strain that hadn’t been seen before. It first hit that spring, at the tail end of the winter season, but doctor visits hit their height in late October during a second wave. This flu season, hospitalization rates have surpassed the nasty season of the winter of 2014-2015, when the vaccine was a poor match to the main bug. 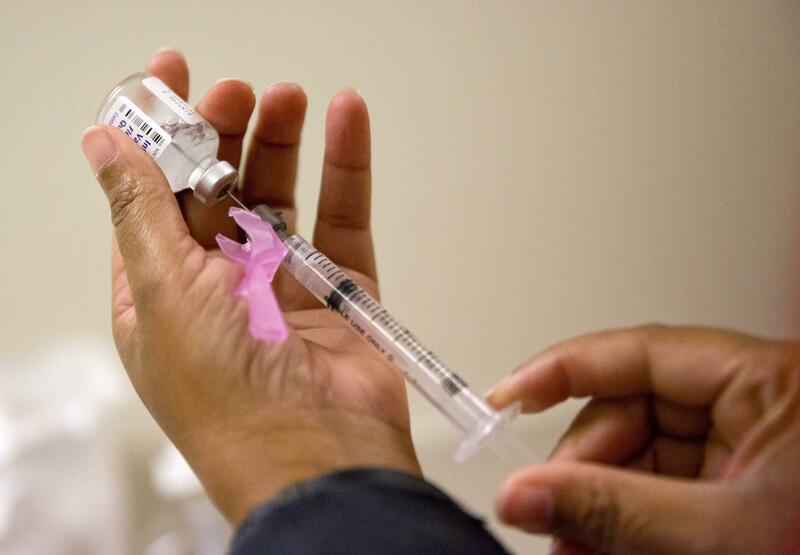 Health officials have said this year’s vaccine targets the flu viruses that are currently making people sick, including the swine flu virus that has become a regular winter threat. However, preliminary studies out of Australia and Canada have found the shot was only 10 to 20 percent effective in those countries. Published: Feb. 9, 2018, 8:29 a.m. Updated: Feb. 9, 2018, 10:08 a.m. Tags: flu, swine flu, U.S.
new Major cities are grappling with a drug-resistant fungal infection, but will it travel to Spokane?